Arizona’s Longest Running Tandem in Drivetime! The guys try to bring you three hours of energetic entertainment, endless sports information, top names in all of sports and invigorating sports talk with passionate sports fans. 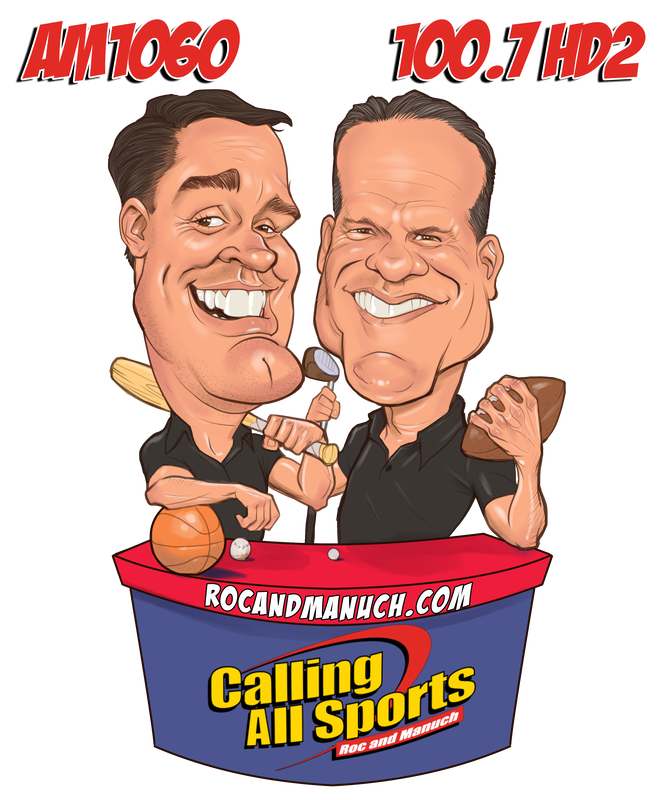 Roc & Manuch began their oddball relationship on Tuesday, September 7, 2004, on ESPN 860 KMVP from 2pm-4pm after the Dan Patrick show. Shortly after a year, the show moved to KDUS AM 1060 from 3pm-6pm. The show was originally called "Calling All Sports" but changed to "AZSportsTalk" when AM 1060 became an NBC Sports Radio affiliate in April 2013. Prior to NBC, the affiliate was Sporting News Radio and Yahoo Sports Radio. The guys also hosted a weekend national show for six months on Sporting News Radio. After 13 years at KDUS AM 1060, the guys left to launch 1580 The Fanatic CBS Sports Radio and aired their show Monday-Friday 3pm-6pm from February 2017 to December 2018. 2019 brings a lot of excitement as their show will now air nationally on SB Nation Radio! Roc and Manuch will now air Monday-Friday 2pm-5:30pm on AM 1060, which is the home of SB Nation Radio. The guys will be national from 2pm-5pm on the network. The new year also brings the return of the show name "Calling All Sports".